Republican Sen. Cindy Hyde-Smith fended off her Democratic challenger, Mike Espy, on Tuesday by winning the election to retain her seat as junior U.S. senator to the state of Mississippi. Hyde-Smith and Espy have been in a closely watched race since Nov. 6 when the Mississippi Senate election resulted in a runoff between the two candidates. The race between the Senate hopefuls became contentious after Democrats and left-wing groups highlighted racial division in the deep red state and when issues of racism flooded the Senate news cycle. 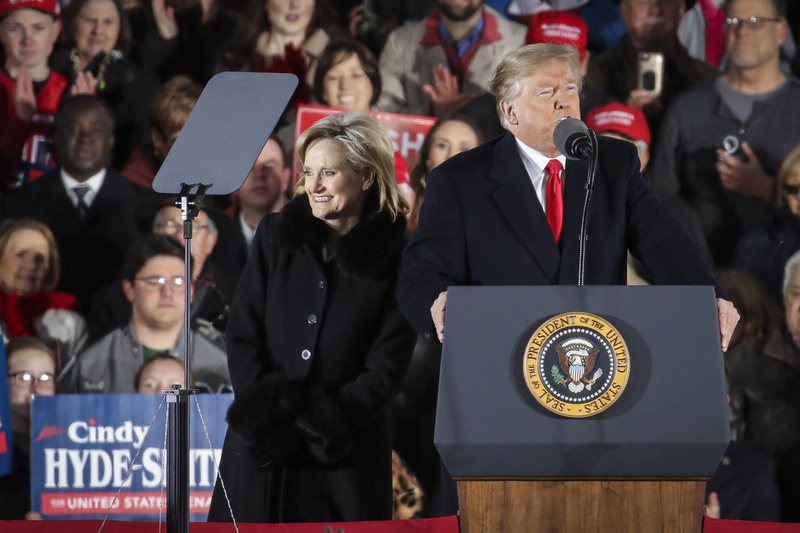 Hyde-Smith fueled the fire in early November after she said in jest that she would “be on the front row” if a man she was campaigning with invited her to a public hanging. The comment, although taken out of context, was seized upon. Hyde-Smith was appointed to the U.S. Senate in April 2018 to serve out the remainder of Republican Sen. Thad Cochran’s term after his resignation. The appointment made Hyde-Smith the first woman to represent the state of Mississippi in Congress, and Tuesday’s win made her the first woman elected to Congress in the state. The Mississippi runoff election concludes the 2018 senatorial midterms, officially providing Republicans with a three-seat advantage for the 116th Congress.